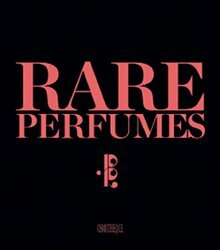 Rare Perfumes (the French version is called Parfums Rares) is a celebration of niche perfumery, in a coffee table format with large illustrations and plenty of white space (see images below). It was commissioned by the Osmothèque, the museum and scent archive in Versailles, and sponsored by The Fragrance Foundation France, InterParfums, Robert Piguet and Parfums de Nicolaï, among others. It was written by two fragrance journalists, Sabine Chabbert and Laurence Férat, and features a preface by Patricia de Nicolaï. The power of olfactory perception to suggest and evoke, to trigger an association or a faraway memory, enables every aromatic essence to create its own world, enveloping us in a private realm of impressions and images, harmonies and desires. 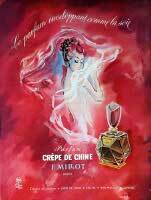 Manipulating our most intimate sense, the parfumeur becomes the architect of emotional spaces, a painter on the canvas of imagination, a sculptor in an intangible material that works at the deepest level of sensibility. — From Scents and Sensibility, an article at France Today about the Osmothèque perfume museum in Versailles.